Craig Rackley began his art career as soon as he could hold a pencil. He is a graduate of the University of Alabama at Birmingham (UAB) where he received a bachelor’s degree in Art Studio as well as one in Spanish. He continued with his Master’s in Education and taught high school for 17 years. Throughout his education career, he continued to work at his passion…his art. He began honing his drawing and photography skills and eventually began to experiment with color. Soon after, he started receiving commissions for his color pencil portraits. Eventually, he knew it was time to experiment with oil painting. With very little experience with oils, he decided to approach it in basically the same way he did his color pencil drawings. He immediately became addicted to the unique look and feel that only oil painting has. Craig Rackley is currently a resident of Hueytown, Alabama, a suburb of Birmingham. When I was younger, I could draw all day and in high school, I was rarely seen without a sketch pad. 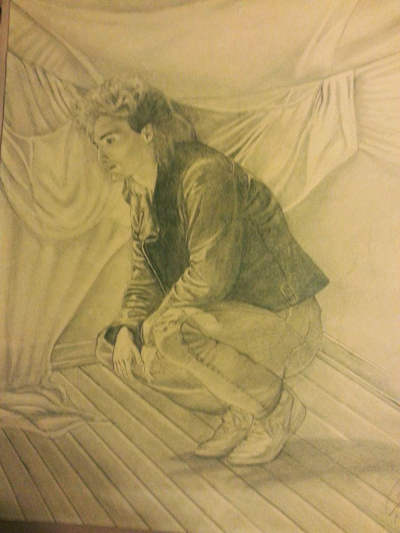 Drawing was my life! I lived in a world of black and white graphite…That is, until I discovered oil painting. Now I live in a world of color and the smell of linseed oil. To say oil painting is an addiction is definitely an understatement. From the moment I first dipped a brush in the paint, I was hooked. I would be honored to be entrusted with your memories and to focus all of my excitement and joy in art and the process of painting into creating your commission.